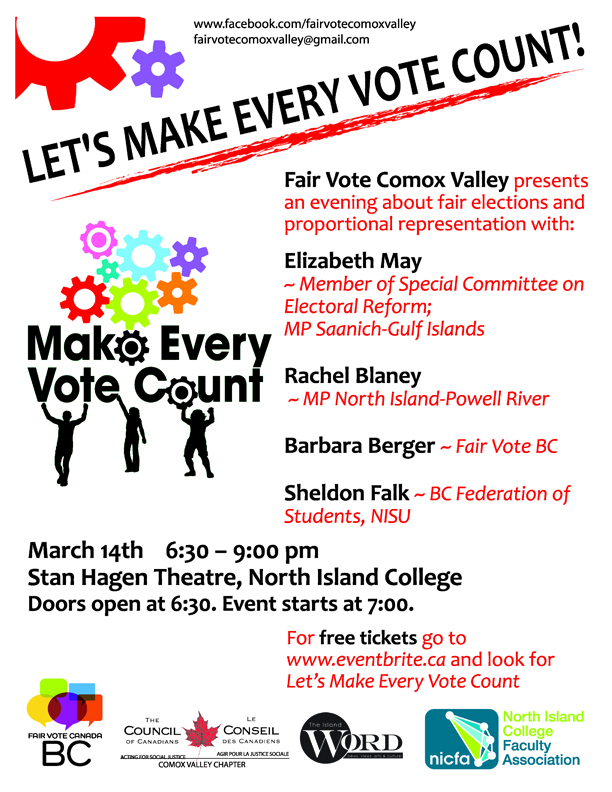 Come and find out how you can get involved in the Fair Vote Comox Valley campaign. This entry was posted in Council of Canadians, Democracy, Events, News and Events and tagged Comox Valley Council of Canadians, electoral reform, Elizabeth May, Make Every Vote Count, proportional representation by riverside11. Bookmark the permalink.